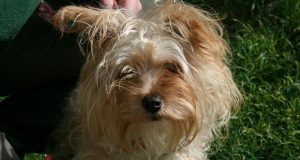 Home / Latest News / Hallowe’en joy for Kalou and adoption of little Mia, too! Hallowe’en joy for Kalou and adoption of little Mia, too! Today we had the first black dog adoption since the start of this year’s special promotion. After nearly 10 months at the SPA this time, Kalou left for a new home. We say “this time”, because this was not his first time at the SPA. Kalou and his siblings were rescued from horrible conditions when they were quite young pups and came to the SPA, from where they were all homed. 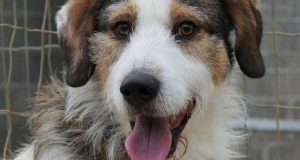 Kalou’s home did not work out, and he was returned in February this year, as being not good with cats or other male dogs. Only one of those facts turned out to be true. It is mistake that people often make. Because two dogs do not get on, it does not mean that they will not each get on with a different dog. There is chemistry between dogs, just as there is between people! Since coming back to the SPA, Kalou has lived happily with several different males. He is still not good with cats, though! When he arrived back he was extremely nervous of people and had never been on a lead. Enter the staff and volunteers, who have walked Kalou, loved him and a couple of them even took him to dog school to help him regain confidence in himself and in people. He is far from being the terrified dog we re-met in February. Plus he is incredibly handsome, and today his good looks caught the eye of a young woman who already owns a three year old malinois, Kaylah. The dogs got on wonderfully together, and Kalou was off. The Hallowe’en fund was put into action, but Kalou would have left even without this financial incentive. 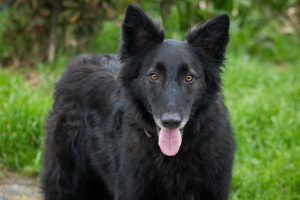 It really was love at first sight, and we are delighted that finally Kalou has the home he deserves. 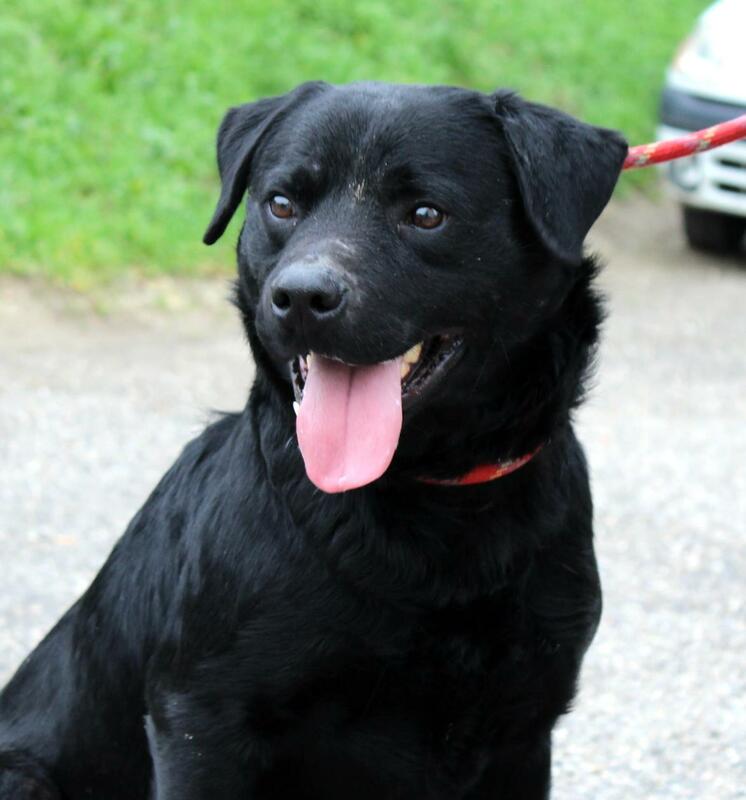 So that is the first adoption of a black dog this Hallowe’en season, and two black cats have been lucky so far. Who will be next? This handsome lad, perhaps? Will Kalou’s kennel mate Liquorice have the same luck? Kalou was not the only dog who left us today. Another dog who has not had the best start in life also found a home! Today tiny pinsher/ pug cross Mia left for her new home. 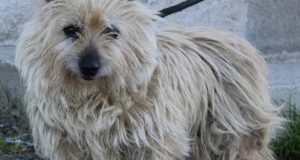 She arrived ten days ago, and although her former owner contacted us to tell us a bit about Mia, we had no contract of abandon and so little Mia had to wait ten days before being able to leave. Still, it is the end of a long period of instability for this little girl. Mia is not even a year old, but has already moved homes at least 4 times. We wish both her and Kalou lots of love and happiness in their new homes. Next: And our second Hallowe’en leaver is….Pica!